“Baltija” Shipbuilding Yard (BSY), which is located in Klaipeda ice free port, is one of the largest industrial enterprises in Lithuania and one of a few shipyards in the Baltic States with full newbuilding capabilities and rich shipbuilding history. More than 400 vessels and 65 floating docks have been delivered since foundation in 1952. Since 1997, when the share majority was acquired by Odense Steel Shipyard Ltd. (OSS), the core production of the shipyard has been the fabrication of ship blocks and turn-key superstructures. “Baltija” has also gained a reputation for being a reliable builder of tug boats and supply vessels to the high European standards. In 2002 the quality and environment management system applied in “Baltija” Shipbuilding Yard was certified by LRQA as compliant with standards ISO 9001 and ISO 14001. Modern technologies and gained experience enable us to build not only vessels up to 115x19,7 m but also complex steel structures such as outfitted superstructures, offshore structures, bridge sections and many others. Since its foundation “Baltija” Shipbuilding Yard has delivered more than 400 turn-key ships and 65 floating docks. 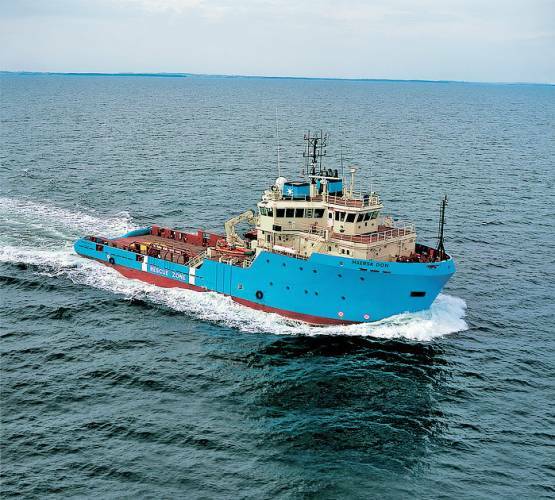 The maximum size of vessels “Baltija” can build is 115 x 19.7 m. The biggest vessels delivered by “Baltija” are multi-purpose dry cargo vessels “Vytautas” and “Gediminas”: length - 99 m, width – 15.5 m, TEU – 254.